Vacationing with loved ones is a wonderful thing; however, it isn’t always the most comfortable. This is especially true when you have to share a bed with someone in order to save on renting out more hotel rooms. This method of travelling seems prehistoric today and is something better left in the past. 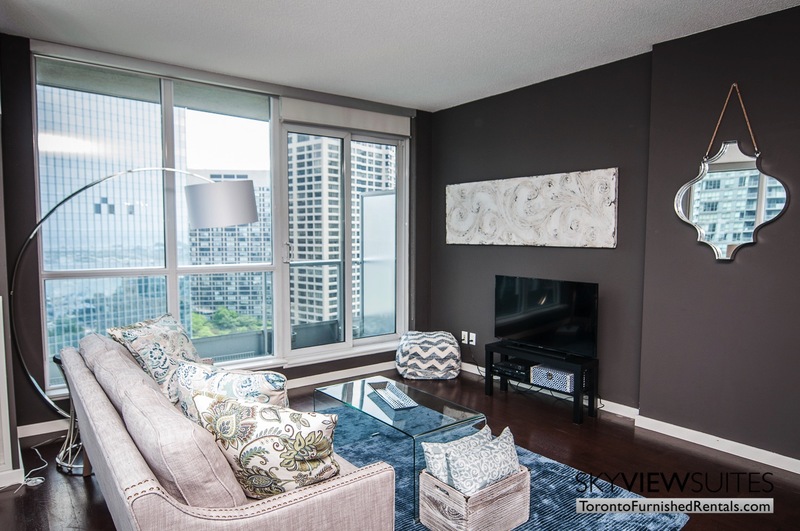 Furnished condo rentals in Toronto are the future. 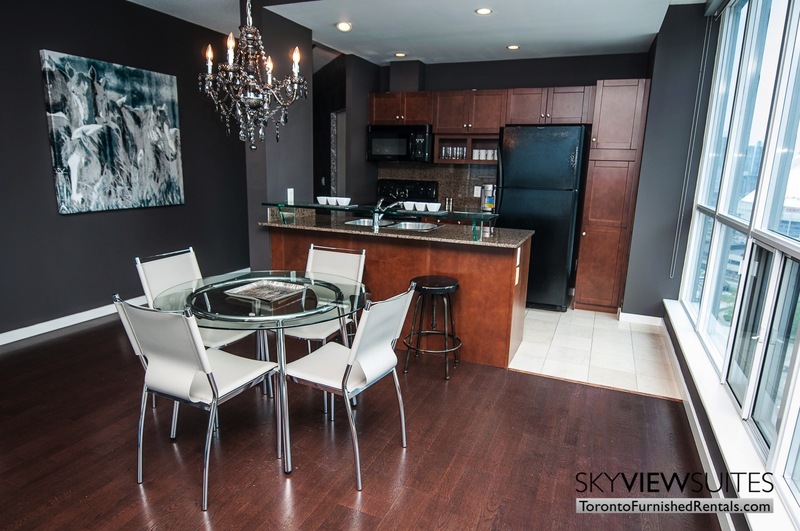 This fully furnished two bedroom condo can be as comfortable as your own home because it is so spacious. The living room is dressed with a handsome huge leather couch and faces the dining room which can seat four and the flat screen TV that is mounted on the wall. There is a private den that is perfect for work or study and has beautiful city and lake views. 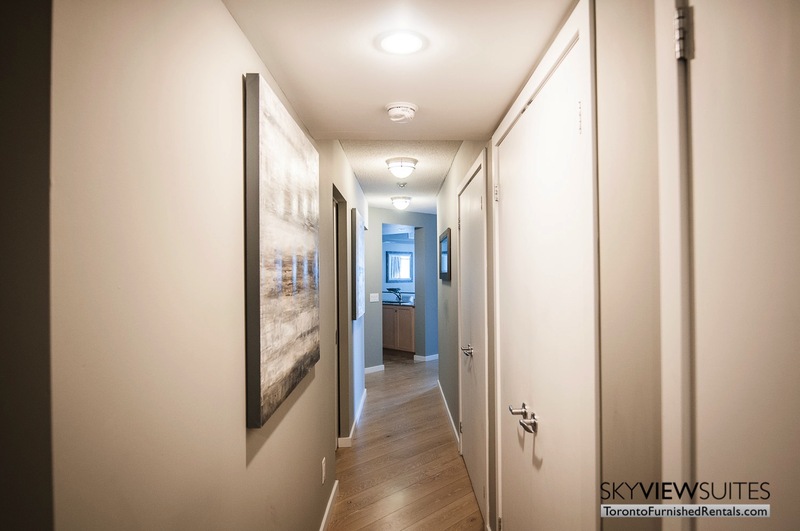 The unit has an open concept feel, the kitchen has brand new appliances, custom cupboards, granite and glass countertops, and it faces the living room. Each bedroom comes with a queen sized bed, fitted with fine linens and carpet to keep your feet warm when you wake up. The master bathroom has a stand up shower with glass enclosure and luxury finishes.